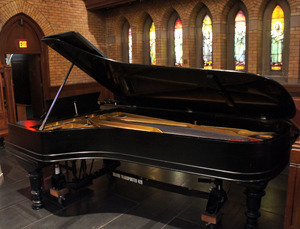 In the summer of 2003, a rebuilt 1895 nine-foot Steinway piano with an ebony finish made its home in our church sanctuary. The piano was donated to the church in 2002 by Dr. Ana Matonis and restored by Farley’s House of Pianos in Madison, Wisconsin. The model D grand piano was first purchased in 1896 from Steinway Piano by Charles Dana of New York City. Dana was the famous author and editor of the New York Sun. It was sold to Frederick Julliard, also of New York City, on November 4, 1914. Julliard was the nephew and only heir to Augustus Julliard, the benefactor of the Julliard School of Music. 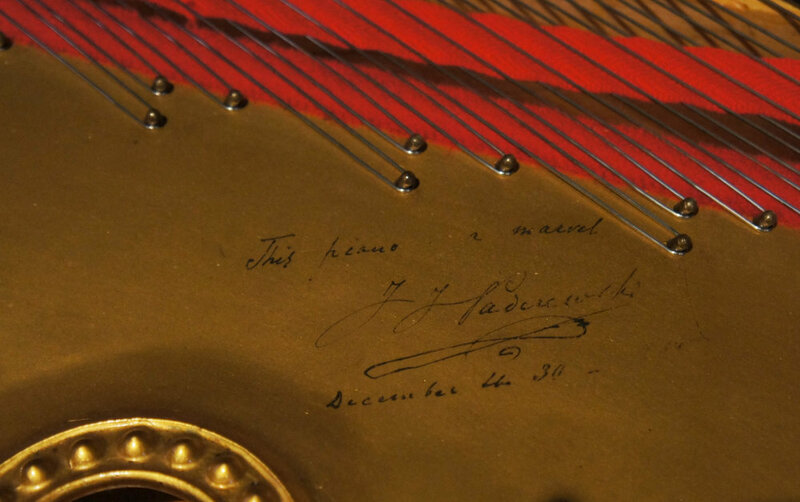 In 1937 the Greenwich Academy, located in Stamford, Connecticut, acquired the piano from the estate of the late Frederick Julliard. In 1980 Dr. Matonis purchased the piano from the Greenwich Academy. Our congregation is most grateful for her generous bequest to us, and we gladly share the beautiful music released from this historic instrument with others.